Re Cap- Prime Minister Theresa May delivered a speech earlier this week that may well become infamous due to a series of unfortunate events. 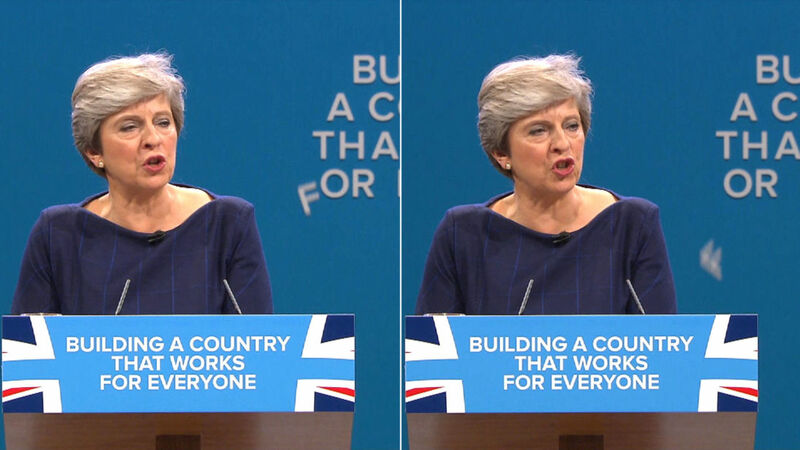 From the persistent cough that led to her losing her voice; interruptions from awkward pranksters in the crowd (not just Boris); even the sign behind her had had enough at one point and made an exit before Mrs. May’s speech had ended. The biggest blunder though, may have a much more detrimental impact on British energy consumers. One of the few policy ideas to make it past the coughing was when Mrs. May introduced her plan to put price cap on energy prices; which whilst it makes for a great soundbite may have adverse effects and not do what it says on the tin. It is a political reaction to the series of recent price hikes from major energy suppliers which triggered emotional reactions from the British public. The thought of facing winter with an energy bill that is hurting your wallet EVEN more than it did last year, understandably adds insult to injury. So the political calculation is that a cap on energy prices will seem like a God send right about now and, by design, could score the PM major points with the public. The reality is that an energy cap is not straightforward and would probably come with serious unintended consequences. Price hikes from major energy providers are not the beginning of overpaying for your energy. Far from it. The chances are that the very prices you were on before the prices were hiked were themselves tariffs on which you have been overpaying for your energy for years. The “Big 6” (British Gas, EDF, Npower, SSE, E.On and Scottish Power) dominate the market with an 83% share of energy customers’ which is in fact at an historical low. This is because until recently, they were the only players on the field. Since 2012, Fifty new energy suppliers have entered the market and many of them offer an opportunity to save hundreds of pounds on your energy a year! Don’t believe me, grab your energy bill and go to myutilitygenius.co.uk and see exactly by how much you have been over paying. The relatively small (15-20%) number of engaged consumers compare their energy bill on a yearly basis and that is how they ensure they are not getting taken for a ride. It probably takes them 5-10 minutes each year. If the engaged consumers no longer see enough of a benefit from switching – they could actually disengage from a market where the only real incentive to move is price, and a cap reduces that incentive. The truth is that the consumer is getting the exact same electricity and gas no matter who is billing them for it! Energy price caps had disastrous unintended consequences to the domestic energy market when introduced in New Zealand. Companies put their prices as close to the energy cap as possible. This effectively removed incentives for companies to offer competitive prices to attract customers. And here was the catch, because politicians had introduced these energy caps, the public as a whole felt that they were no longer overpaying for their energy. Subsequently, many either stopped being engaged energy consumers or remained as unengaged as ever! The end result was that the major companies maintained a high share of customers based on the value of their brand and smaller companies offering lower priced could not compete because customers were not comparing. Consequently, there were less savings to be had. The first major point to be made is that politicians do not actually have any control over the global energy market. The energy that we buy largely comes at fluctuating market price determined by global supply and demand. Capping is a phenomenally easy word to say and a monstrously difficult process to equitably deliver. If the actual cost of coal, oil and gas (and therefore also electricity which comes from these) drives the underlying costs to a point where break-even exists above where the cap is placed, energy companies will start making massive losses and be forced to add charges elsewhere to make up for the loss. The customers will undoubtedly encounter higher energy costs without the option of switching to a significantly more competitive supplier or tariff. And the only companies that can afford to ride out such economically challenging circumstances are the large energy suppliers. So the Big ones wait it out and the small ones potentially go to the wall. Mrs. May’s energy price cap may be well intentioned and are no doubt very appealing to the public. However they are likely to have a short term small win followed by a longer term competition collapse and they will not stop the majority of customers from overpaying for their energy to anything like the same degree that switching to a cheaper energy supplier might. Ensuring that competition is steep enough among energy providers to encourage customers to compare their bill is a far more effective way of keeping energy prices low rather than simply (non sequitur) capping prices.